THERE was always a danger of my 15pts Scottish Cup fivefold being beaten by one – and that's why I advised backing with the concession in mind. Celtic, Killie, Inverness and Hibs all kept their side of the bargain with comfortable wins but Aberdeen didn't read the plot and cost me around 25 points. Their draw at home to Stenhousemuir was unforeseen and beat not only the Super Single but the -1 handicap fivefold at 5-1. Going by some comments a few of you were happy to see the bet lose even though Aberdeen would have cost punters a fortune – whether you were following me or not. Even before Greg and myself flagged up the bet bookies were seeing big hitters lump on those five plus Rangers and also throwing in the likes of PSG, Liverpool, Man United and Man City. On the day I was consoled by my Scots both to score treble winning at 5-1 while the English was a Gillingham goal short and thanks to those who pointed that out politely. For those with any doubt points are not pounds – 1pt could be 1p, £1, £10 or £100. It's up to each individual punter. I never advise size of stake which is why I use points which simply indicate my form and this month it's dodgy or unlucky. I prefer to go with the latter. For example if Aberdeen had won yesterday and Andy Murray hadn't produced a miracle performance from 2-0 down at the Australian Open the Super Singles would be in profit. Both to score bets were good for tipsters yesterday with Desmond's double winning and Scott's Euro treble also coming in. On Sunday the big game is Huddersfield v Man City as the champions try to stay on the heels of Liverpool who won a 4-3 thriller against Crystal Palace. Spurs head to Fulham trying to overcome the loss of Harry Kane and Son Heung-Min. I can't see past a big City win but value is tough to find – Scott has posted a match preview. Maybe both to score is the shout at Fulham v Spurs and possibly Christian Eriksen to score and he's likely to be on pens in the absence of Kane. In the Scottish Cup Hearts try to avenge a 5-0 defeat at the end of the year as they welcome Livingston. Hearts are boosted by a couple of signings including striker David Vanecek and face a side who pick up most of their good results at home. Reckon the Jambos will edge this and kevinmac has put up a preview. There are plenty of big games on the Continent and my Top Treble started well with the early Italian game as Atalanta notched a big win at second-bottom Frosinone who are winless at home and never beaten Atalanta in the five times they've met – in fact they haven't scored. Add over 3.5 match goals at Ajax v Heerenveen – over 2.5 is too short. This fixture has produced 44 goals in the past nine meetings while Ajax lead 23-1 on aggregate in their last five at home. The last four meetings have been 4-1, 5-1, 5-2 and 4-1 so Ajax and Btts is also a shout. Should be a goalfest though. Complete the treble with St Etienne +1 at home to Lyon. Saints have won eight and drawn two of their last 10 at home and face a side not as fearsome as some of the past ones and with three successive league draws behind them and one win in four at the greens. I'm adding a both to score treble as my only other bet today. Well done all winners yesterday and thank you to a few I followed. put up a couple of nite owls and punts in oz but on these sunday……. Hopefully get a better set of results tmoz, BOL with all bets! City struggled last season in this fixture and although there ought to be no such problems this time out, my gut is telling me that it may not be as high scoring as the form suggests. Free £10 bet from ladbrokes for one wrong on my accer yesterday and I’m trying a speculative one at high odds to try get the original stake back. I recognise it’s a long shot and not for everyone but hey ho either stake accordingly or don’t back it. Bit harsh that, It’s been mentioned earlier an I’m sure figures will be amended soon enough. Yeah I’ll sort it – getting mixed up with it going overs. Makes me feel better as I was asking why I didn’t do the sixfold! Yup. Maybe the red card stifled the game a bit, but it fell short by 1 strongest goal to land my first bet. It ends 2-1. I’ll restart again soon. I can see 3 games for btts in Bolivia and 3 in Costa Rica today. Looking forward to your picks. So 15 points returns a £25 free bet and not a single point is taken off the total. Clearly the loss didn’t exist and it’s easy playing with points because no one knows if you even placed that big of a bet. I get it now the 15pt bet wasn’t actually a “super single” it was just termed that way to make it easier to find, that’s why that total only shifted 3 pts. However the same thought still exists about the accas total. How come 1 bet wasn’t a 12.5pt loss when the previously stated stakes are 1pt =£10? I never deal with monetary value on here – the stats are based on points and always have been. 1pt is worth whatever you want it to be. For me it’s a tenner but the stats are not based on what 1pt is worth because it’s different for everyone. I also stated I knew how to get round the max moneyback return of £25 but it’s a form of bonus abuse so I can’t say how although various people knew what I meant. I explained this to you before the bet lost. It’s a points system – I also several times emphasised to do the bet with the moneyback insurance. I think the Acca stats may need amending from yesterdays results – A total of 8 points staked and a 5 pt return from the winning ‘Scottish BTTS Treble’. A net 3 pt loss, taking todays opening figure to -26 points rather than the -24 as posted. Forgive me if my maths is flawed. They’ve been sorted. Already been pointed out. I need to stop doing them in the early hours. I never asked about it before, I assume this reply was for Paul 9759. Yeah probably. Fed up answering the same question to be honest. You got to feel for Huddersfield here after their Manager walked out on them claiming he was suffering with fatigue.Certainly not good for the players confidence as if it wasn’t shot enough.No belief and now no manager and they now face a City side who will be looking to win games by the biggest margins as they can as goal difference could be a factor in the title race,a long day ahead for the terriers. Heading to Italy and Spain for cards today. Frosinone most cards (Asian handicap – 0.5 cards), bet365, 1.95. Spal v bologna 60 or more booking points evens skybet. Villareal v bilbao over 6 Asian cards 1.85 bet365. Rangerd decent odds at 8/15 against Helsinki in a friendly today. Helsinki have only started their pre season, there should be a different level in class and fitness, with Rangers game postponed on Friday i reckon there will be more minutes for starters to blow off the cobwevs before a big league game at Kilmarnock on Wefnesday. Rangerz are also 11/10 to be winning at half time. Helsinki looked decent for an hour, very comfortable on the ball which passing out eventually caught up with them from Rangers high press. Good run out for Rangers, looking forward to midweek league action. 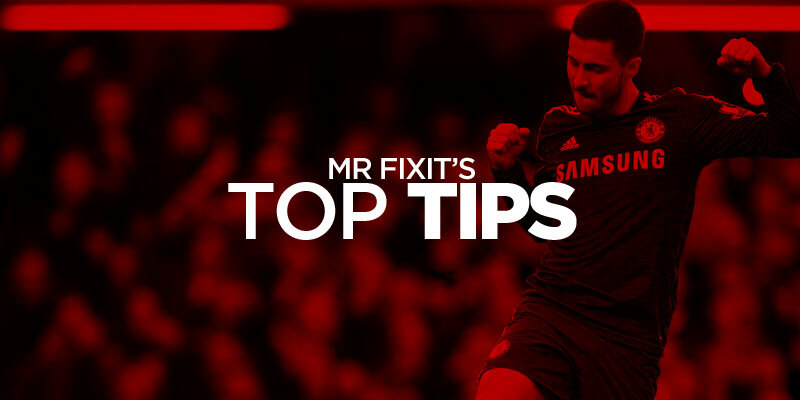 I tend to follow the main tipsters on this site each day and do my own corner bets, which I enjoy researching. Corners can be quite a decent market and but they can also be head-scratchingly cruel. One method I’ve had some success on is trying to pick out an evens money double or treble in the over 8.5 corners market. O`Neil was booked uno, but there was some confusion as it did not come up on sky and bet365 until about 10 minutes later, but he was carded at the same time as the pen. Watched the game in the office but didn’t notice. Will try to check later. Checked the stats from the Sunday Mail reporter and no booking at penalty but two Airdrie bookings. Yeah exactly hence the confusion as although most outlets reported it you can’t see it given on the TV footage. Man city. Mota bernado silva to score any time 11/5. 18 points. .
Bernado silva to score 2 or more 14/1 2 points..
Mr H any thoughts on the lower league italian games mate? Carrarese play juve u23 away – think they will grab 2? Was on this yesterday which landed, stands a chance again. First game kicks off at 11.15 this morning. All teams 20 or more booking points. Skybet. poor on the nite owls and in oz only winner was the strongest u3.5mgs at evens…………. I’ve not time to preview each game fully but the first features Valur/corners which I highlighted last week with success whilst the second sees Costa Rican side Limon back in action and they have been spot on for goals bringing in my previous CR pick…ought to be more with Herediano in town! Any thoughts about Red Bull – Palmeiras? Went fine yesterday with the btts doubles, lost the triple and four hold . Very good with the Sporting L. With btts, btts&over, win&btts. Night was a goal short for the Btts&over double. For today , I focused in Bolivia and Costa Rica, tips will up soon. I like the look of levante over 7 corners this evening 23/10 with paddy power. ime not talking about me lads I said my mates. I do the Irish lottery twice a week dolky. I perm any 3.4.and 5 numbers from 6. 10 pence stakes = £4. 10 pence per bet. £ 8.20 in total for the week. 4 numbers up gets you over a grand. three numbers gets you £ 70. 00. I had 4 numbers up 3 times last year, and 3 up about 10 times. Never had 5 up yet. I think it`s a good bet for low stakes. Thing about the irish lottery is you don’t expect to win – if you do it’s total luck. In football betting I want every bet I place to win – and there’s plenty of skill and research involved. Agree. I enjoy the research aspect of it also and the reward of picking or calling a game correct is a good feeling and again anything can happen but sitting down on a Saturday researching with a coffee and chatting on here is like a secret escape for me when the wife is away. Sad as it may sound but it keeps me occupied and not in any trouble or drinking or smoking etc etc. Fiorentina are down to 10 men at 1-1 at halftime. Taking Sampdoria to win @ 7/4. Last minute goal for Fiorentina to down my perfect start to the day. Cheers Sean, great day after a very poor Saturday! Duvan Zapata fgs 3/1 bet365❌ Lost- Scored 4 goals after the first how ironic. Really really wish bet 365 did the goal in each half market. Wow.. PSV game ended 2-2.. painful for them. Ajax will be very happy with that. An Ajax win and many goals is to be expected. Paul9759 why don’t you just go away & troll some other site…Really fed up seeing your constant negativity on this brilliant betting site…Or another idea,Admin,just delete him from here please. Anyone got any advice on Napoli tonight? Need them to win for a 168-1 Acca, got them at 1.75 but they are out to evens. Yeah totally mate – We go there next Saturday, fancy our chances. Gutted im missing at as on holiday. Was on the Hearts single at 7/8 so showed a small profit. Treble LOST – just the 8 corners in Germany. There’d only been 2 at HT so it was always going to be a big ask, apologies to any who followed. Quiet day for me but there’s one in Turkey tomorrow thats screaming goals. 2 teams that score & concede regularly as Kasimpasa entertain bottom dogs Rizespor. Rizespor are bottom of the table and have just 2 clean sheets in 17 games but despite being bottom they’ve also scored in 14/17 with BTTS landing 12/17 including 8 of the last 9 games. Kasimpasa won the reverse 3-2 away at Rizespor and have won 4 of the last 5 meetings and goals were involved….3-2,4-2,2-2,2-0,3-2. BTTS and o2.5gls is 5/6 & home win & BTTS is 2/1 but I fancy the home side too win this one well with goals involved after finishing off with a 4-1 home trouncing of Besiktas before the winter break. Too many on both sides reading too much into it, seen Celtic fans going way over the top as well, forgetting we were without our best defender, midfielder and striker that day and that another 2 went aff at ht. Played poorly and got what we deserved, it happens sometimes, no need for panic stations. when Both those teams managers start talking about them being in a title race then other people might. Marseille conceded 29 goals this season, only 6 teams conceded less and 4 of those battling it out at the bottom of the league. Payet gone off injured and although they look dangerous on the break Caen have come into this game. Mentioned Rayo’s home goal laden games last time and fancy today to follow that trend against a sociedad side looking rejuvenated since the new year. Got Heerenveen DC @ 12/1 & Fulham DC @ 21/20. When Ajax were up 3-1 cashout was a couple of quid,now its 3-3 NO SIGN OF A CASHOUT……f*ckin pisstakers. belgium doesnt go overs so brings down ma treble……………. Going to try an evening mixed 20p ‘Goliath’…. HA!!!! Cashed out when Ajax ended..got 20 times my stake….so im glad you never gave me cashout earlier lol. Cheers,i remember,no worries,glad to help.Hope you get lucky for future bets. pheww !! Harry shows Fernando how to head a ball!! So far very poor today. Frosinone most booking points won. Was 1 card short in Villareal for money back, and 1 card short in Spal match. Fine margins. Anyway, last card bet for today. Derby of St eitenne v lyon. Over 4.5 cards bet365. Happy with the main bet landing (just)!, only 4 out of 7 on the acca! No De Tomas goal. Unlucky with goalscorers but happy with the profits today. American football league championships tonight for the right to meet in the super bowl. Two belter games 8 o clock and 11 40 fancy both games to go over points saints rams chiefs and patriots all high powered offence s .
O56 .5 and o 54.5 respectively pays 9/4 coral. Rab on Skybet all teams to score 25 points or more 4/1. The Portugese game didn’t yield the corners I hoped it would – 3 corners short on the NB. Having a wee last punt. I know Hull is keen on Costa rica for goals and I can see why looking at past and present games. They just love a goal or 3. I just feel the Limon game well produce a fair few. BTTS & Overs in the following treble. All small stakes for interest. Here’s hoping Limon and Herediano can liven things up and finish on a positive. Costa Rican 4-fold seems fair odds in a goal-laden league? Lovely dc. Great bet that was. Well done bro. Wrote this off, never underestimate Barcelona!! The one I thought was dodgy proved to be the downfall. Never mind the other 2 bets more than made up for it. Just leaving this here seeing as though there are no other sport threads with importance. Posted in September. With that I’d like to announce my retirement and I shall be hanging up my betting boots on the site. Many thanks to Mr F for giving me the opportunity in attempting to influence punters alike on here. I owe a lot to him and the likes of Greg for guiding me through the years, and I was fortunate enough to be given a platform on here. Now working for one of the worlds leading betting exchanges, I can quite safely say my job is a joy to be in. A great community on here. Anybody wanting to get in touch is welcome to request my email address off Mr F. Good luck to everyone on the site, and to your futures. Alves, you know where to find me. Hullshaker it was great to see your betting talents grow and I’m sure you’ll continue to do well. All the best. Can’t name everyone but you’re a great bunch. Again, many thanks for your time and patience Mr F. I’ll pop in every now and then. Welcome to steal my email from Mr F Clydeman. Jordan, cheers and best of luck. Sorry you couldn’t contribute more but I understand how busy you’ll with the job. Well done with the Rams – bit of a crazy finish there. Will pop in from time to time without getting in trouble. All the best. Cheers Kyle mate. Whenever I saw your bets they were always ones I was fond of so it’s good to know I helped that style of yours. Keep winning bud. Mentioned you on other new thread. Thanks for showing me the ropes also. You Leroy and hull are the guys that stick out for me also.